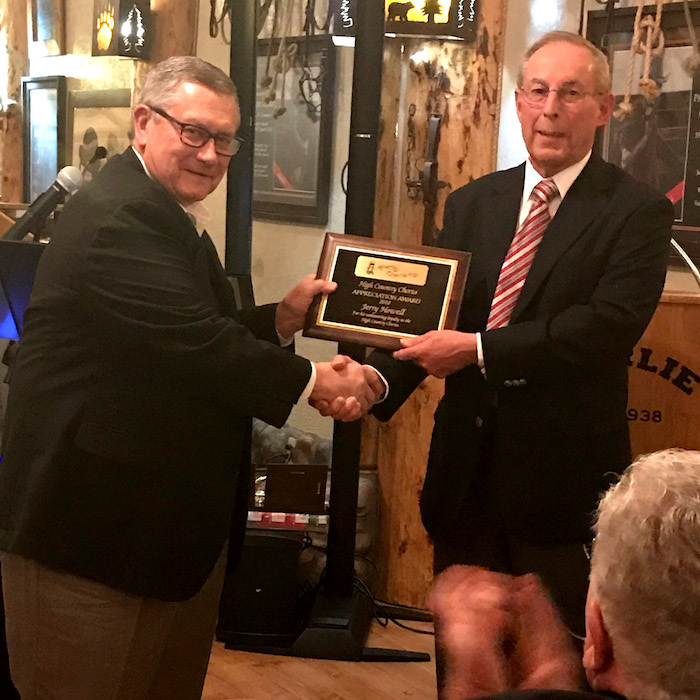 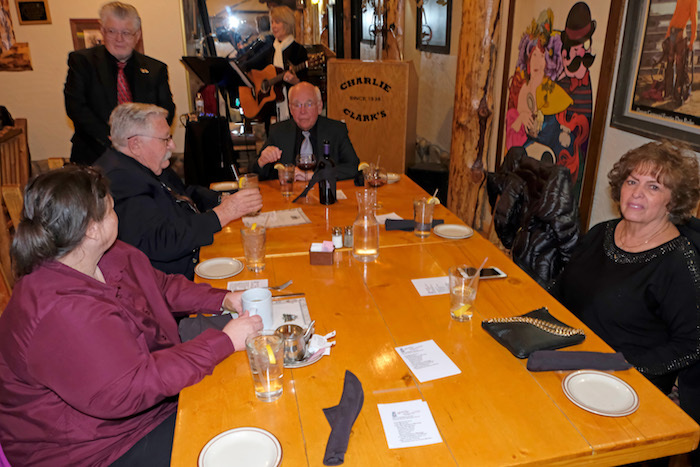 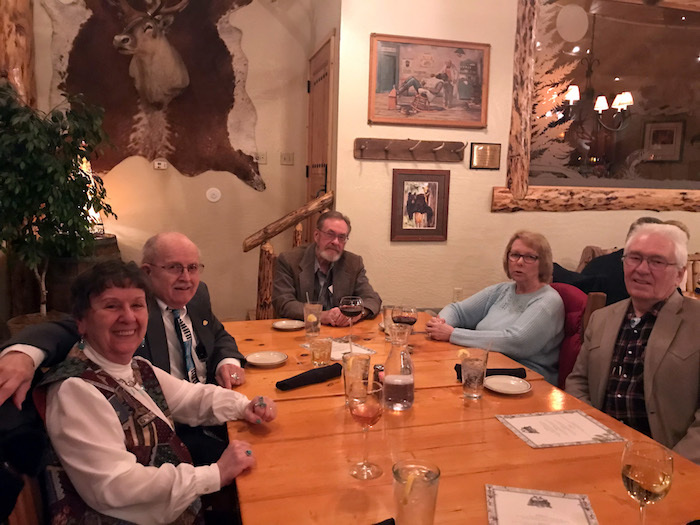 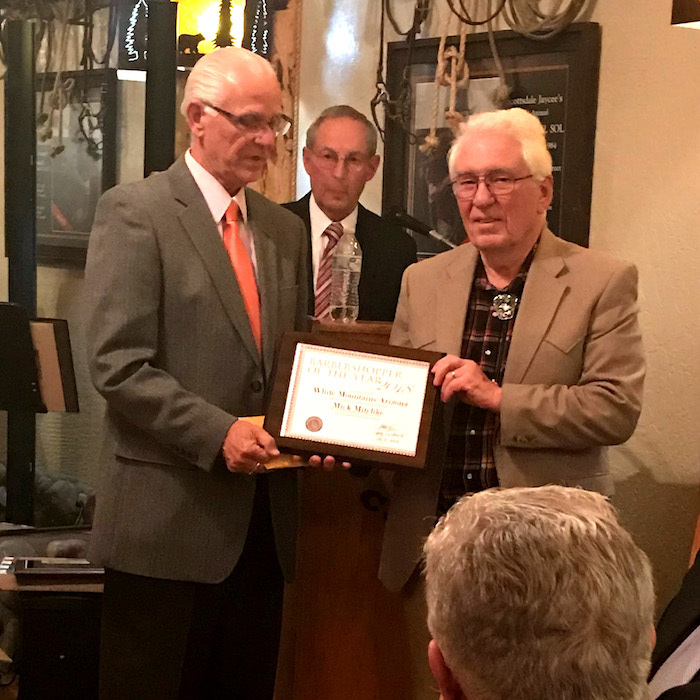 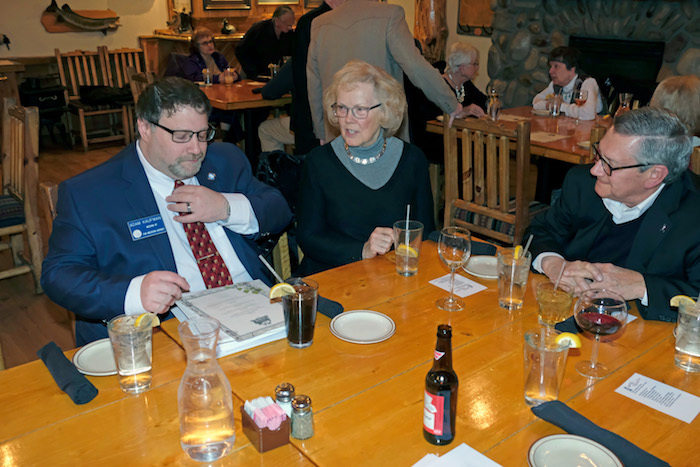 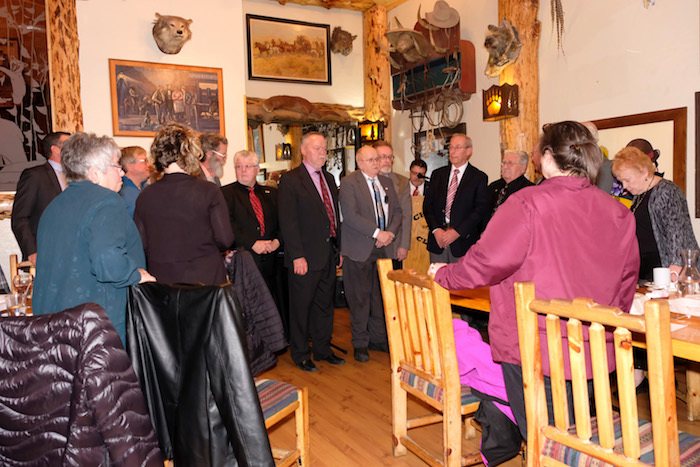 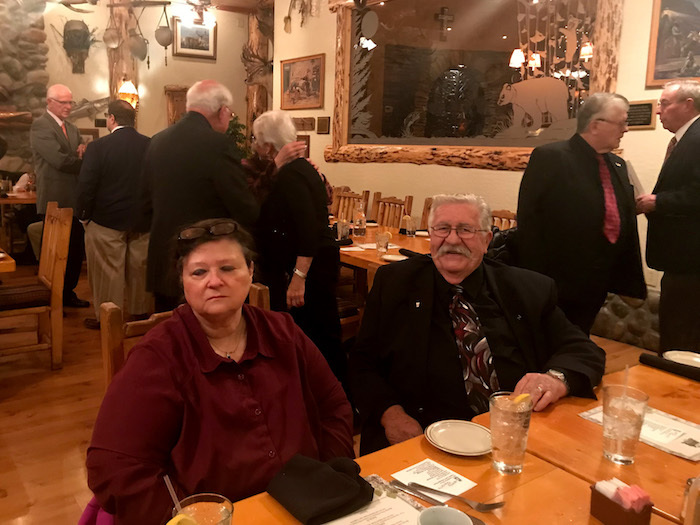 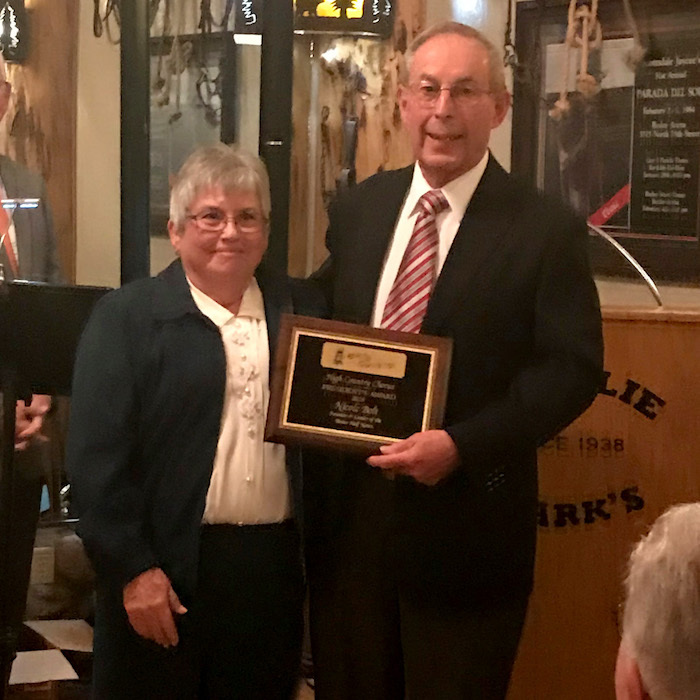 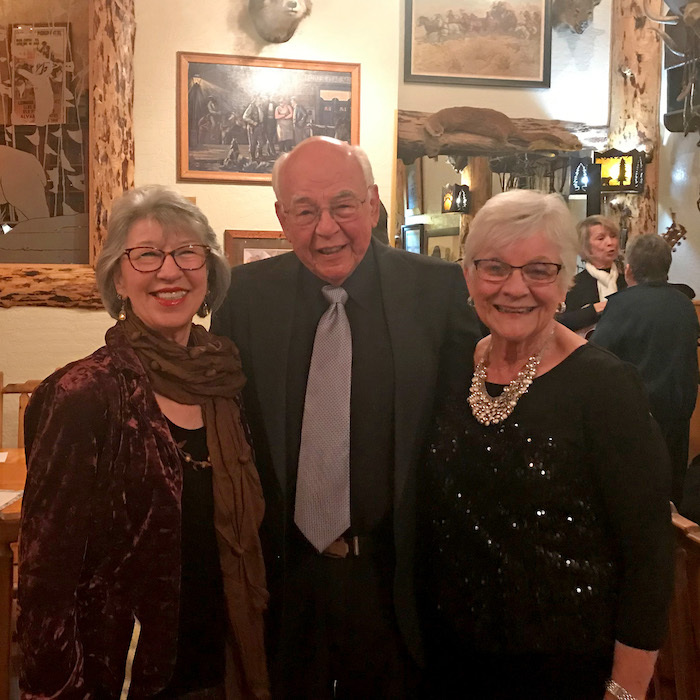 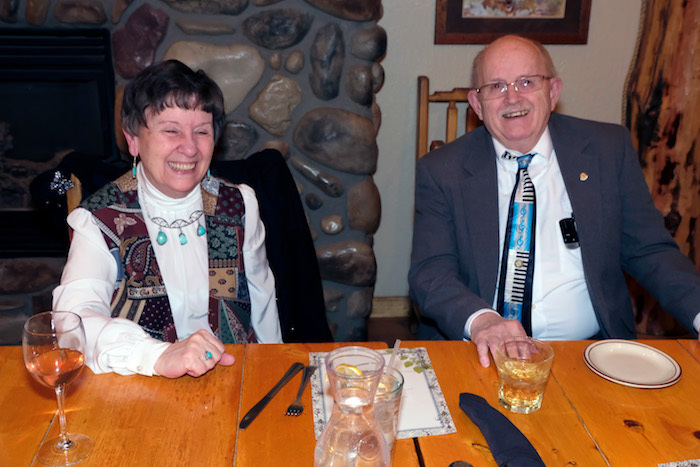 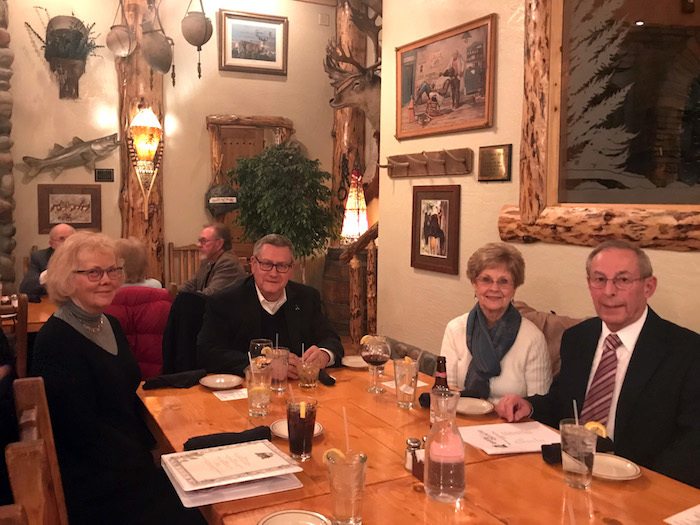 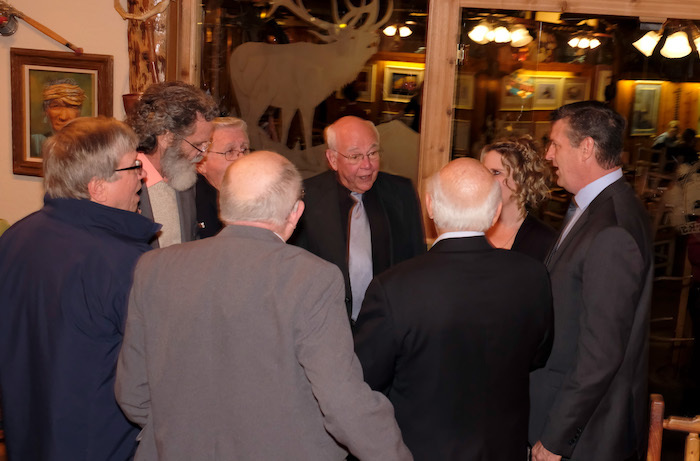 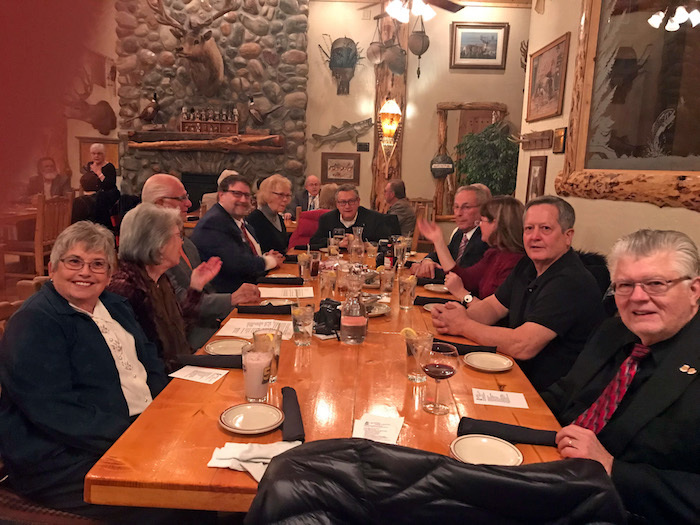 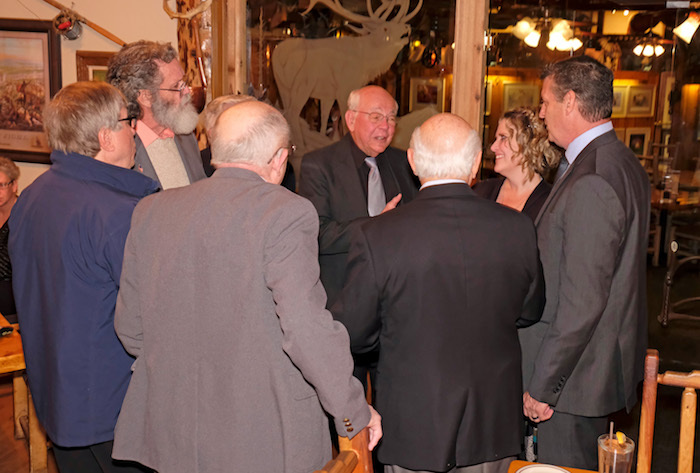 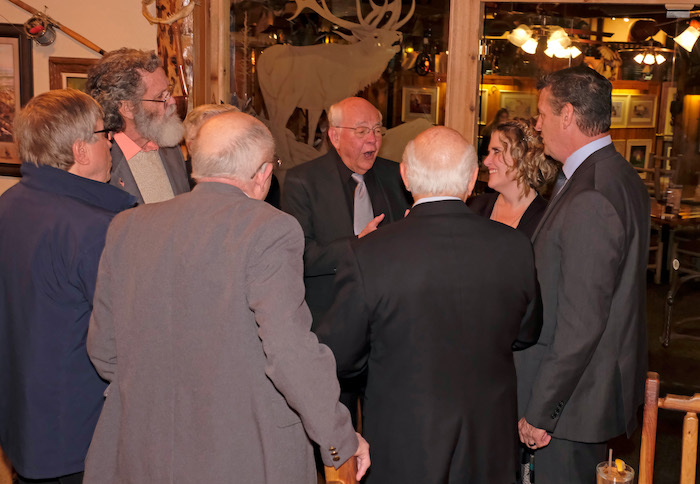 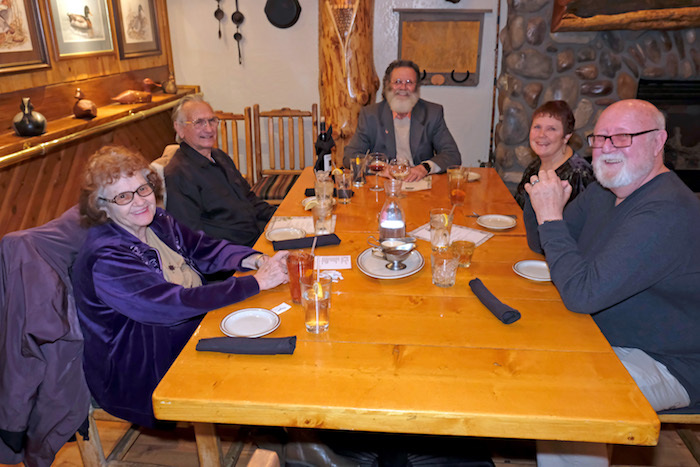 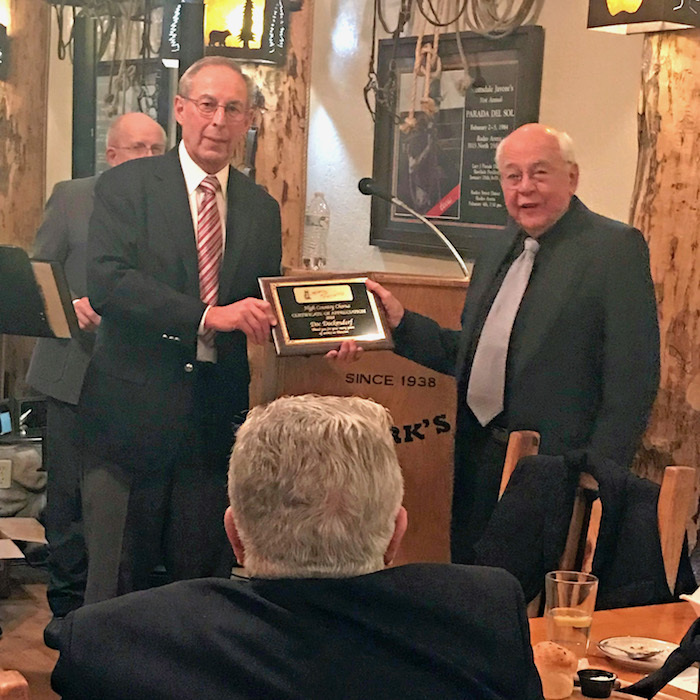 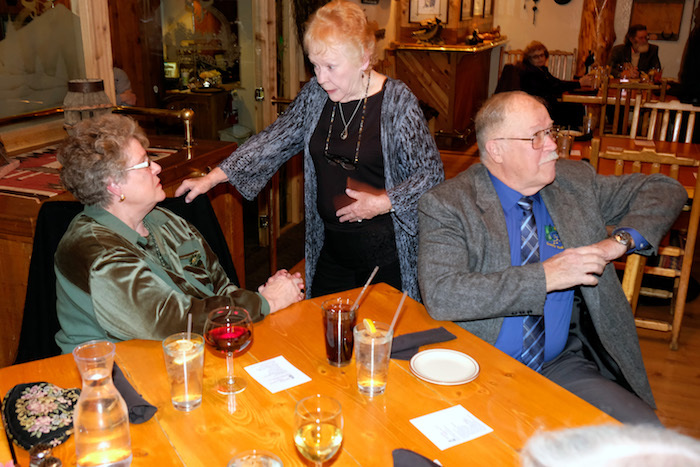 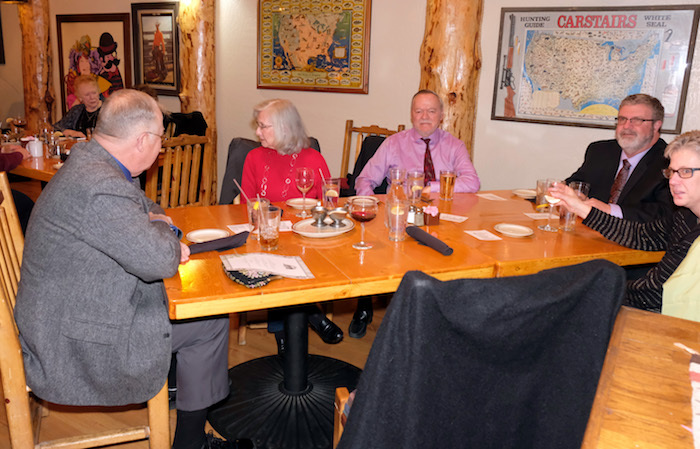 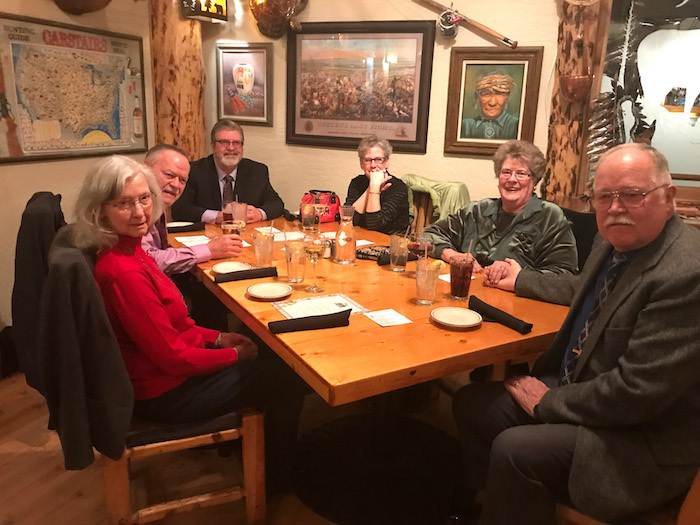 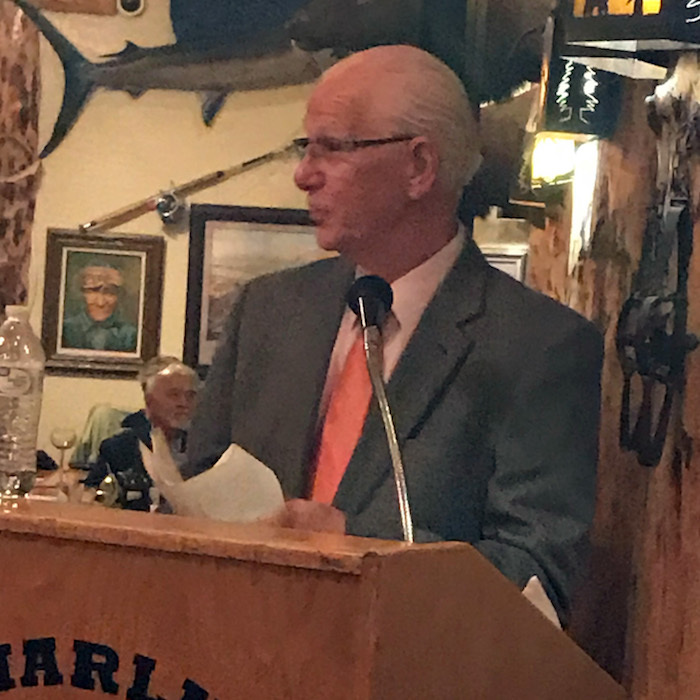 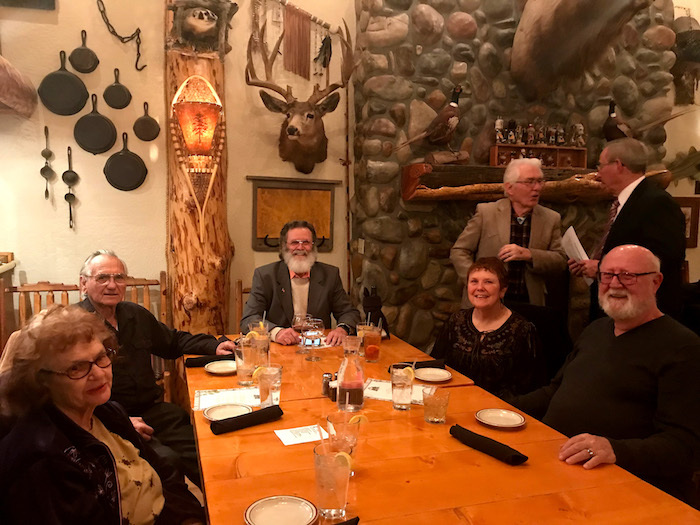 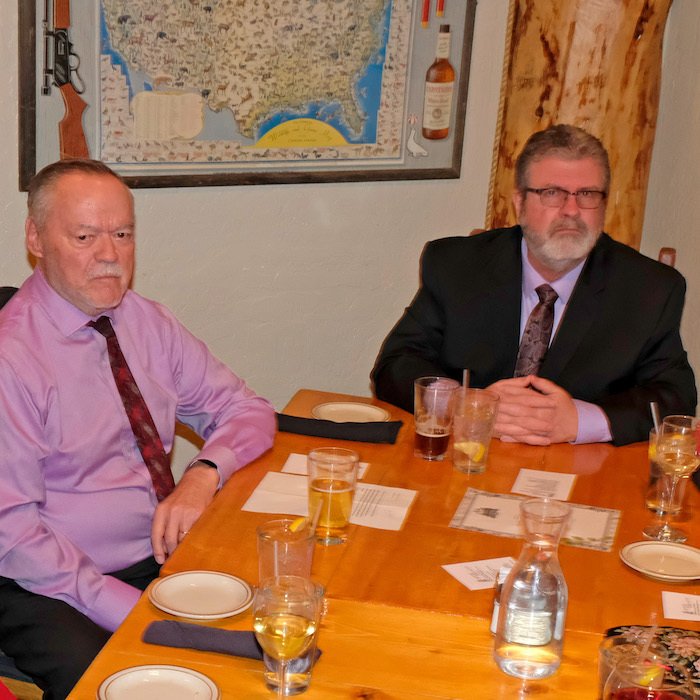 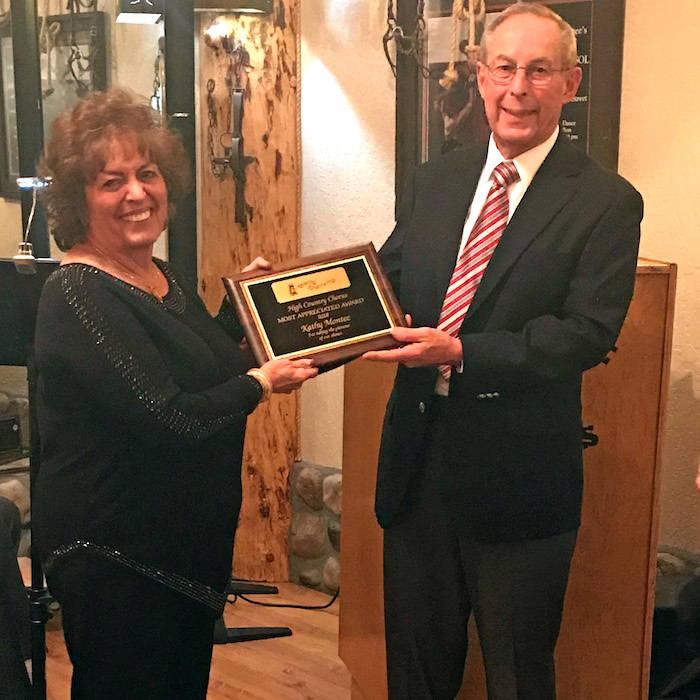 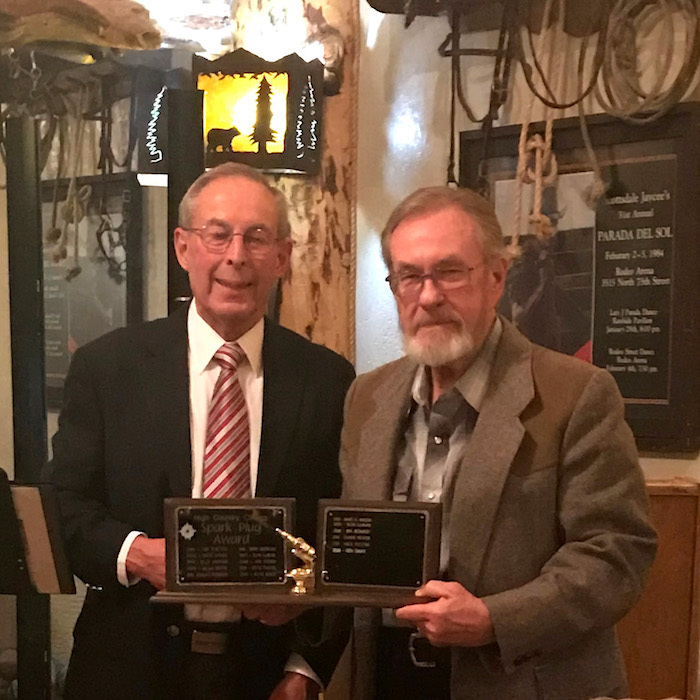 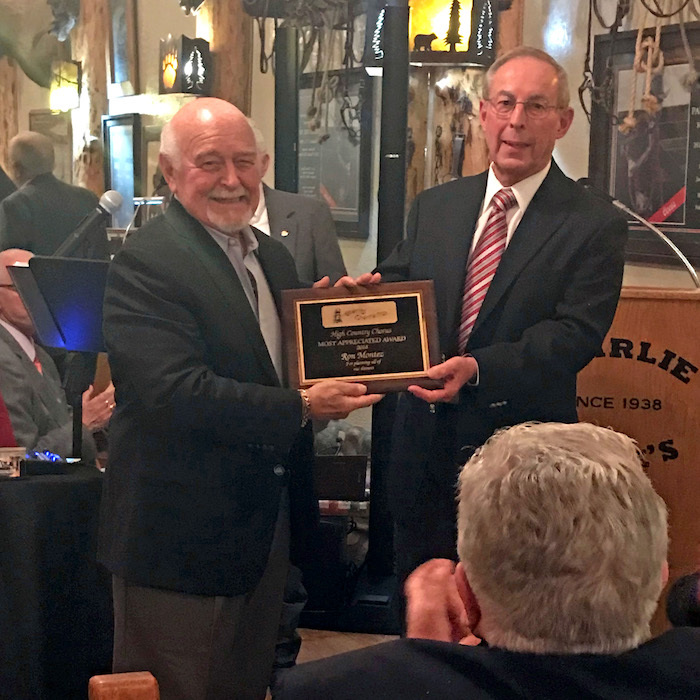 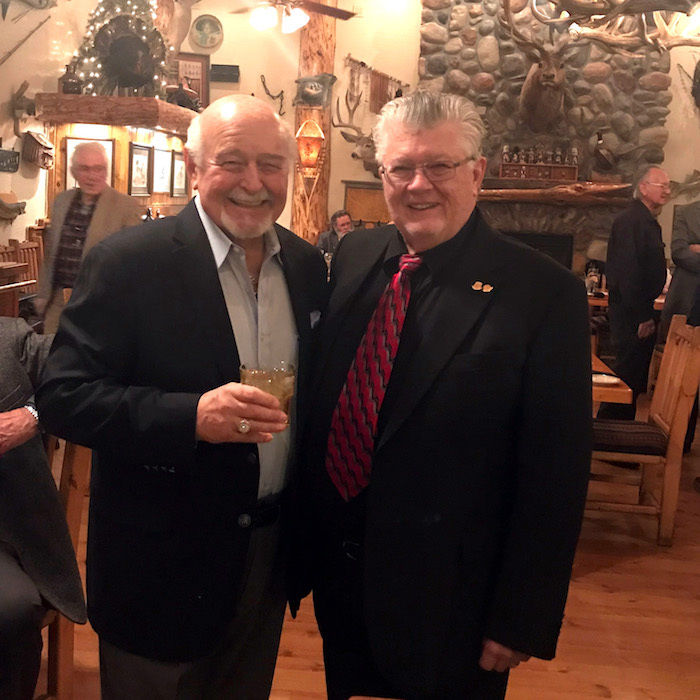 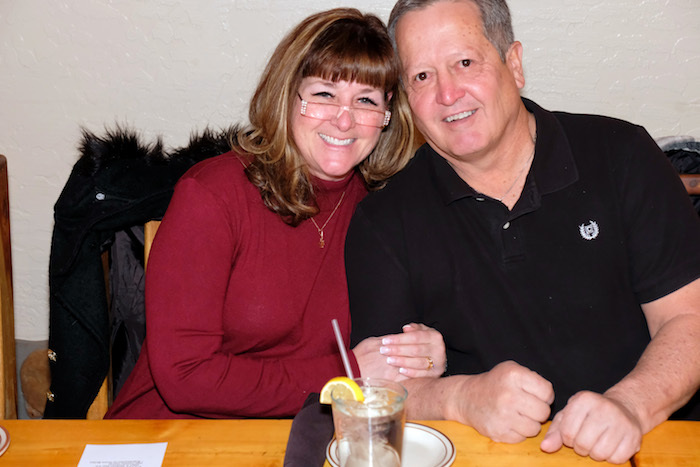 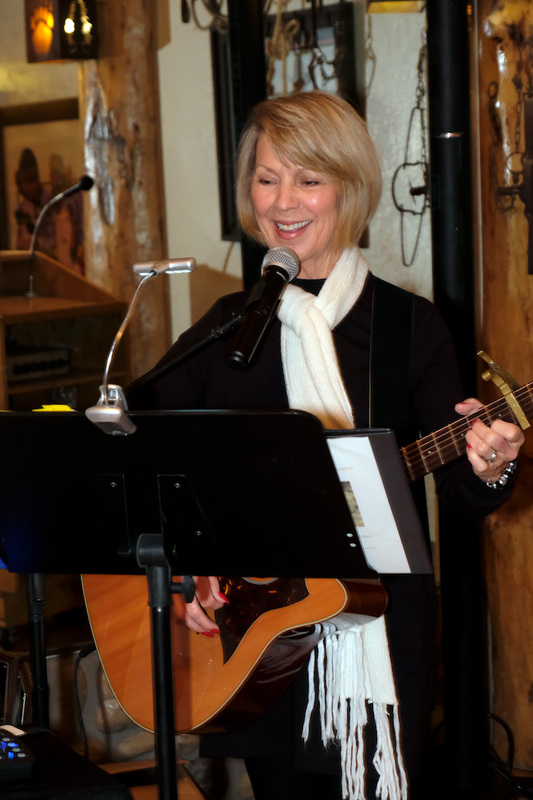 The 2019 Chorus Officers Installation Dinner was held at Charlie Clark’s Steak House in Pinetop, Arizona, on January 5, 2019. 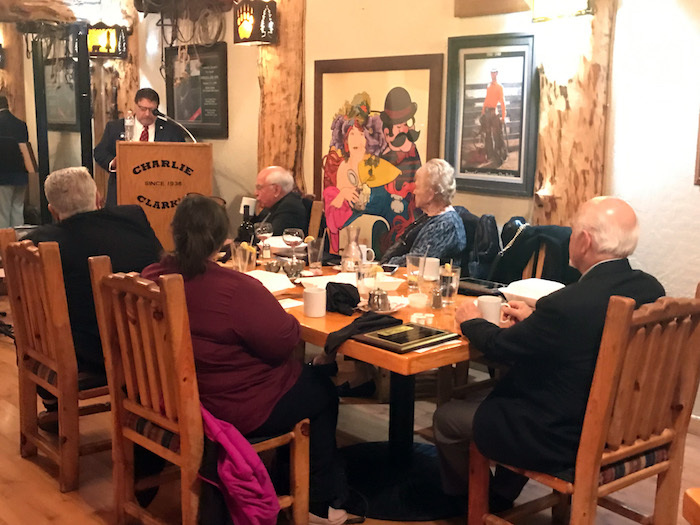 We were pleased to have Mr. Adam Kaufman, Arizona Division VP present to install the officers once again. 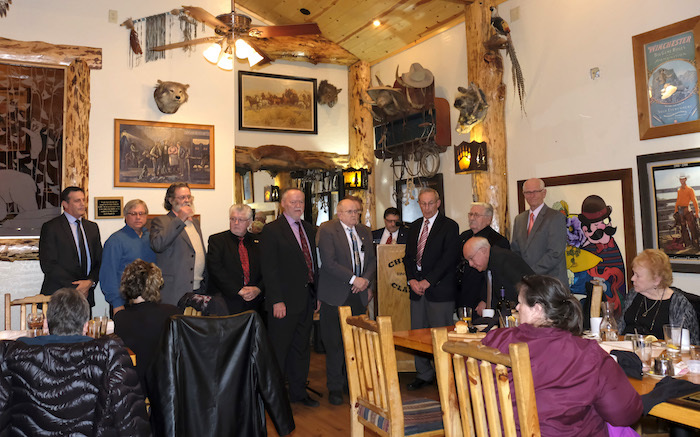 2019 Board of Directors: (L to R) – Jeff Walker, at large; Tom Wallis, VP Music; Don Murrow, Treasurer; Jim Barden, VP Membership; Duane Krause, President; Jerry Schrunk, Past President; Millard Bolt, Secretary; Ken Gray, at large; James H. Burden, VP Marketing / PR; Everett Peterson, Chorus Manager; Mr. Adam Kaufman – Installed the officers. 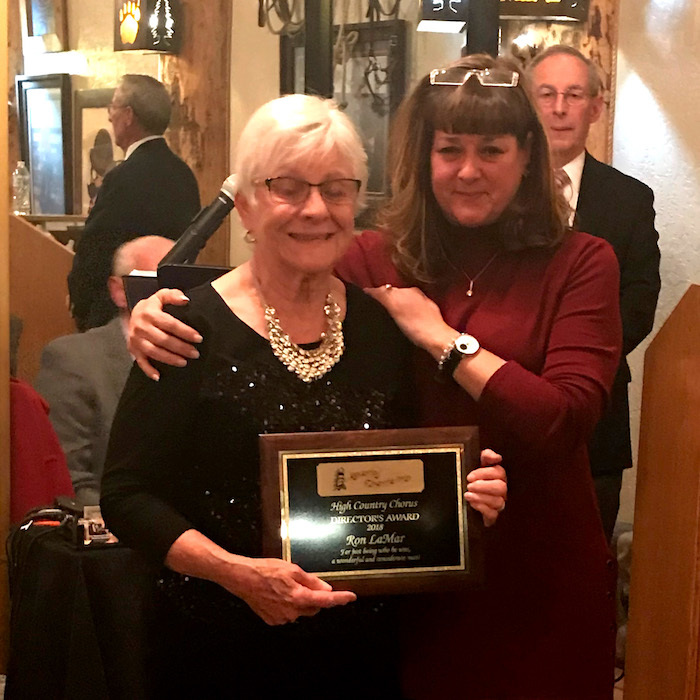 President’s Award presented to Nicole Bolt, Better Half Notes founder.